It was the deadliest shooting incident by a single gunman in U.S. history. 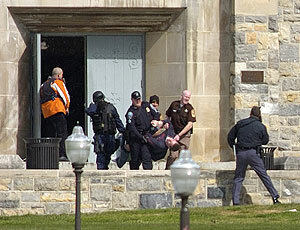 On April 16, 2007, a senior at Virginia Tech University opened fire on the Virginia campus, killing 32 people before taking his own life. The tragedy not only shook the nation; it also called into question the availability, and efficacy, of mental health services for minorities. Although the shooter, Korean student Seung-Hui Cho, had been referred to psychological counseling for symptoms of mental illness, he did not get sufficient help. And although his example is extreme, experts use it to highlight what they see as a common problem: insufficient mental health care for immigrants. A 2005 study by the Asian American Psychological Association showed that when Asian Americans do come for counseling, they show higher levels of psychological distress compared to other groups, in most cases because they have delayed seeking treatment for so long. And relative to other minority groups, Asian Americans spend the least time in treatment. The problem is not confined to the Asian-American community. Studies have shown that several minority groups are much less likely to receive needed mental health services than whites, and that when treatment is sought, it’s often poor quality. The suicide rate among African American adolescents, once uncommon, has increased sharply. Suicide attempts for Hispanic girls, grades 9-12, were 60 percent higher than for White girls in the same age group, in 2005. While the overall death rate from suicide for American Indian/Alaska Natives is comparable to the White population, adolescent American Indian/Alaska Natives have death rates two to five times the rate for Whites in the same age groups. And in 2005, suicide was the second leading cause of death for American Indian/Alaska Natives between the ages of 10 and 34. According to a recent report in the Journal of the American Medical Association, immigrant children are at heightened risk when it comes to mental health treatment. Why? For some it’s the psychological trauma of getting to America. For others it’s the struggle to assimilate, and feelings of discrimination – whether real or not – because of ethnic minority status. The study also found parents of immigrant children often have to move around a lot for work – leaving them little time to help their kids adjust to schools or their community. Combine those things with the ordinary challenges of adolescence and it’s a recipe for trouble: the study found these kids at increased risk for depression, anxiety, and substance abuse.